This girl is on fire! Check out the new Catching Fire Trailer. 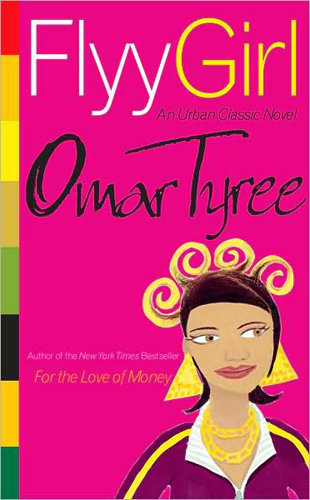 Lionsgate has picked up the film rights to Omar Tyree's coming of age novel, Flyy Girl. Veronica Mars goes from the silver screen to print in a series of mystery books. Get a peek at what book lovers will be fawning over in 2014 with Publishers Weekly Spring 2014 Sneak Preview. Book Riot looks at What Are Grown-Ups Afraid of in YA Books, an insightful post with some....interesting comments. Jennifer Bosworth talks about writing and raising the hypothetical bar. Don't count Generation Y out just yet ! Senior Community Manager for Book Riot.com says there is more to this generation than texting and Angry Birds. . . we are readers too. Thanks for the bookish news. I always feel as if I learn such things so late. I LOVE posts like this! I think they are great because you do all the work of finding me good stuff! Thanks! I love the post on Book Riot! Also, Wings' cover is gorgeous! Introducing Books and Sensibility ARC Tours !